As a young girl living in the Forest with her Grandma, life has been quiet and peaceful for you, if not maybe even a little boring. However, lately strange happenings have been occurring throughout the land, and before long you are thrust on an unexpected adventure, shaking up your quiet life and putting your strength and bonds with your Pokémon to the test! Experience Pokémon training in a different time in history: this story is set in the past, before Pokéballs had been invented! Without the PC, space in your your party is much more precious. With over 50 available Pokémon, choose those party members with care! Explore atmospheric areas, from a tranquil forest to a bustling meadow! Click here to download version 1.1! 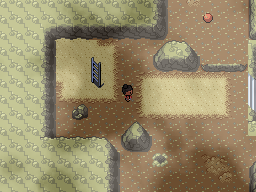 - Fixed the crashing trainers in Gloaming Cavern. - Fixed a number of bugs and oddities. - Added the Exp. Charm. - Added a few more healing spots. - Removed and shuffled around some of the early game trainers. - Tweaked the mid-game balance. - Tweaked a handful of Pokémon's evolution methods. - If you lose to Virizion, you won't be able to catch anything. Beating Virizion or any other possessed Pokémon in the overworld should fix it. This'll be fixed in v1.2. - Sometimes the game might throw an error in battle for some reason, that's just an oversight with the game itself but it shouldn't crash the game. - Oops you can get a Premier Ball by purchasing 10 Red Apricorns. Ignore this future technology for now! 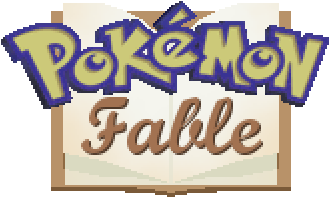 Click here to download the Pokémon Fable resource pack! Q: How do I release Pokémon? A: You can release Pokémon from your party menu. Q: Do the herbal medicine decrease happiness? A: Yes, but a very minimal amount. You'll quickly get any lost happiness back and then some just by walking around and battling. Q: What's the shiny rate? A: 0%. Shiny Pokémon aren't in Pokémon Fable. It's nice to see you enter another game jam after submitting umbra last year (which I thoroughly enjoyed). And this time it seem like you have quite the crew as a team, I look forward to playing it! Woo it's done! Hectic last five days haha. Hope you enjoy it and let us know if there's any issues, we'll be ready to fix them! Umber was awesome, can't wait to see what this entry has in store! Looks brilliant, so far! Hey just a quick PSA: there's a trainer that will crash the game due to an oversight on our part. He's located in Gloaming Cavern. In the next few days, we'll get a patch out that will fix this issue, a few others, and tweak a few things. I'm not 100% satisfied with the level curve of the game, so we'll be taking a look at that too. In the meantime, this trainer will look down from time to time. Wait until he does and walk past him. Thanks for understanding! Yeah I ran into that and lost a large chunk of progress, oops. Because of that, I don't think I can gather up the energy to replay everything I did right now, but the game is pretty FAB of what I've played. 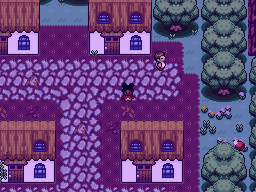 I like the tilesets, and the story is pretty neat. I do think some of the music, particularly the battle music, should be changed though. 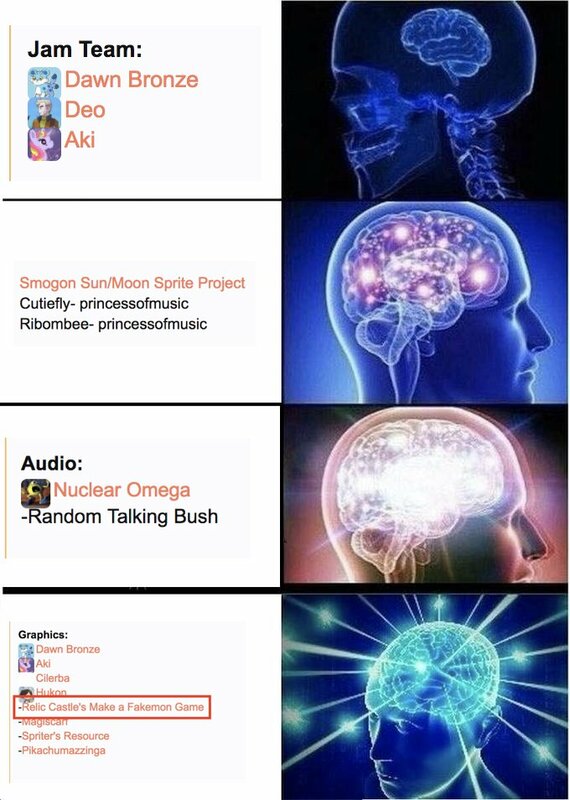 The basic FRLG music is really too plain for me, even a GBA demix of some other gen songs would be fine. Hey, I'm working on the v1.1 patch right now. If you haven't played the game or are doing a let's play, please consider holding off until it's out! Edit: It's out now! This will be the last update from me, except for any game breaking bugs. Enjoy! Played through it before the update, was a little challenging at some points but it was a good time. Good job, yall. I finished the game last night... or so I think, maybe? Because the scene after the last battle against the hunter is very brief. I can't tell if the story already ends when the player returned home. Even the Keldeo and grandma introduction scene is longer and has more depth. + Fairly challenging, even though I played without EXP Share thing. Those damned skiplooms and their bullet seed hax. + Plenty of healing points to make the game less stressful. 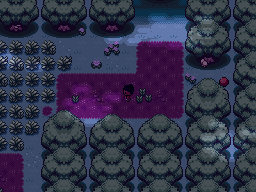 + Nice detail on mismagius mind control part. + Offers skipping boring backtrack. + A better take on trio legendary beast plot than the movie. + The antagonist poke team has their own screen time. You fought against mightyena at the beginning, encountered mismagius and sableye at major plot point; this has more depth than simply "a boss trainer with powerful team". - Some of the music felt bland. Maybe because it's overused? - Gen 5 animation is cool but made the game lagged so hard, almost every battle took minutes to complete. 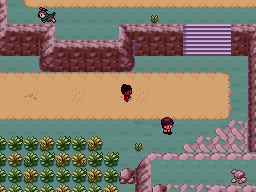 - That, coupled with repetitive wild pokemon and overly long, unavoidable NPC fights, almost tempted me to quit the game. - Despite having a nice villain team screen time, the hunter's motivation isn't explained well. He is just a generic bad guy. - You can replace the trio with another powerful pokemon and it won't make much difference. Why not ursaring/pangoro/beartic/bewear or other pokemon group? Why them? - Wild pokemon movepool is very limited. I ended up only using delcatty and keldeo, while leaving pachirisu for nuzzle support. I didn't catch anything else. 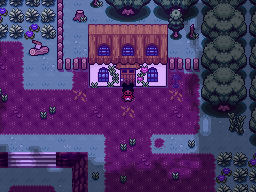 - And I thought the first village is central to the game plot because there is so much thing in it. - And I thought the setting will not include a modern factory (although I like that slippery maze bit, the tileset is just so off the place). The concept of Pokemon Fable is pretty interesting, but the execution on details could be better. 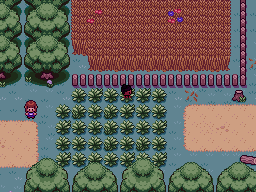 The NPCs could be used to explore the lore of apricorn, the discovery of legendary beasts and WHY they are legendary, as well telling us how of humans and 'mons relationship began to grow (maybe in the epilogue, it is implied that the villagers passed on the story of the brave little girl!). I understand the time restraint here, but the fable on Pokemon Fable is surprisingly underused. Just my two cents. If you guys intended to improve the game or simply move on to the next project, I hope this review will be helpful. I really had a good ol time with this game! I liked how the game was really streamlined as you went from one area, to the next. & one thing I found super unique was having no PC! It's surprising just how much I rely on it (in game, of course), so not having one made me really think of what Pokemon I wanted on my team, something I haven't really had to do since maybe Colosseum & deciding what I wanted to purify? I really thought it was a unique mechanic, especially as you could release any Pokemon from the party menu! It just tied in neatly with the "lore" of the game, which I thought was very clever. & I really liked the "twist" at the end? Not really a twist per say, but it was a twist to me, haha. Here's my in-game team! I really liked the added challenge of only having 6 slots; I needed to think carefully about which Pokemon I wanted to catch. Fortunately, there was enough variety that I made a well-rounded party by the end!